Ashley here: The news is in! I do NOT have to quit my job! I have officially been granted an unpaid leave of abscence for the month of July to be Erin’s medical staff for Love4Gambia. When Erin asked me to come along as her medical staff, I immediately said yes. I said I was was going even if I had to quit my job, which was a real possibiliy. During our first meeting about Love4Gambia, Erin and I decided that was our number one rule: We’re doing this even if we have to quit our jobs! 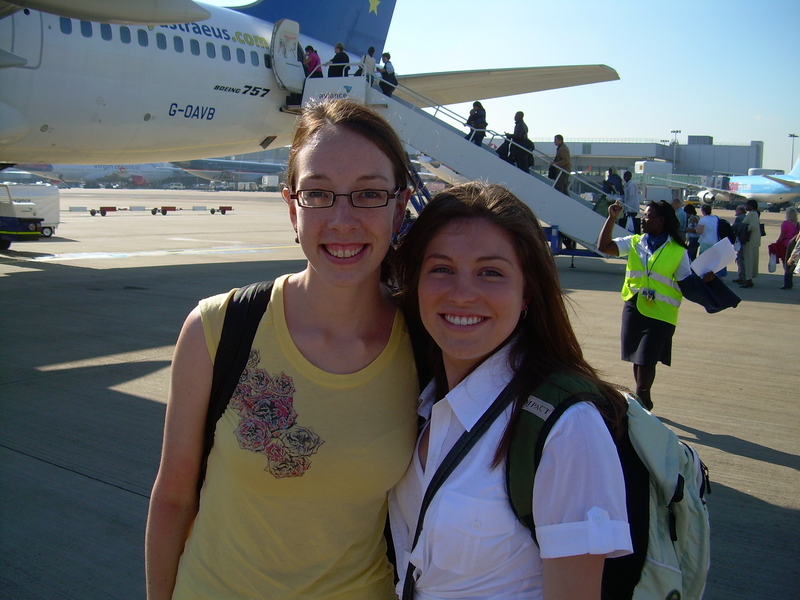 Gambia-bound '07. Ready for July '11! This entry was posted in Developing Country, Nurse, Volunteer and tagged Africa, friendship, running, The Gambia, tropical illness. Bookmark the permalink.